Well at least I’m in good company! Even the disciples suffered from a lacking faith when facing difficult personalities, so much that they drew the rebuke of Christ himself. I guess I should cut myself some slack, they lived with Jesus, witnessed His miracles first-hand and yet still came up short in the faith department at times. Matthew 26:40 And he came to the disciples and found them sleeping. And he said to Peter, “So, could you not watch with me one hour? Being in recovery and heavily involved in Christ-centered Life Groups through church, embracing the fellowship of Celebrate Recovery, being involved in a 2yr course created by Ted Roberts (do the research if you want to know more of my specific struggle) and seeing weekly a Christ-loving pastor and counselor for support, encouragement and direction I regularly find myself being tested and convicted to face my fears. In most cases my inability to step into difficult relationships and boldly proclaim how it is going to be by setting healthy boundaries is suppressed by ghosts from the past. Growing up with constant abuse in all forms as an only child my only option was to internalize the hurts, to believe that I deserve to be treated the way I was. 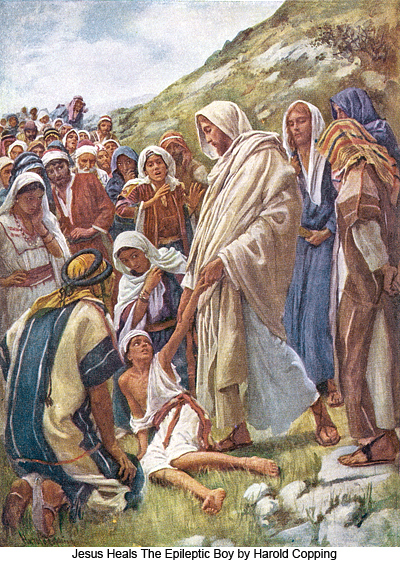 This might be taking great liberty with scripture, but as is typical when seeking the Lord’s counsel on a troubling life circumstance, I do not take lightly the verses I am led to in the still and quiet of early morning, especially when I am awakened by troubling thoughts and the verse is as powerful as Matthew 17:20. As new creations with Christ indwelling through the power of the Holy Spirit, we are given all we need to live freely and boldly and all are called to speak the love in truth. Father God, I thank You this morning for Your word that comforts my fear and convicts me in my faithlessness. Correct my heart so that I no longer fear the people in my life who persecute out of their own brokenness but instead see them as You do, precisous children who are lost without you. Show me Lord when the time for caring, compassion, patience and grace is called for but please do not let me forsake the flipping of tables when necessary. I have a heart of fear Lord, but You know that it is a heart that I freely surrender to You and I know that You alone are growing me to trust that all good things come to those who believe and follow. I do count the cost Lord, and when I say I’m all in, it is with a heavy heart for I know that you continually call me to love myself and others in a way that is so foreign my flesh cries out to remain safe and comfortable instead of walking into the leper colonies of my world and boldly stand in and for Your glory alone. Give us all that heart today Lord, to trust you, remain awake and vigilent to what you are doing, and to remain faithful in trust that if we will only step into those difficult situation, You have in deed gone before us and will surely follow behind us. It is in Jesus precious name I pray. This entry was posted in 12-steps, Addiction, Celebrate Recovery, conviction, encouragement, faith, God's story, hope, Jesus, love, Recovery, trials and tagged disciples, encouragement, faith, hope, jesus, Prayer, rebuke, relationships, temptation, trials. Bookmark the permalink.